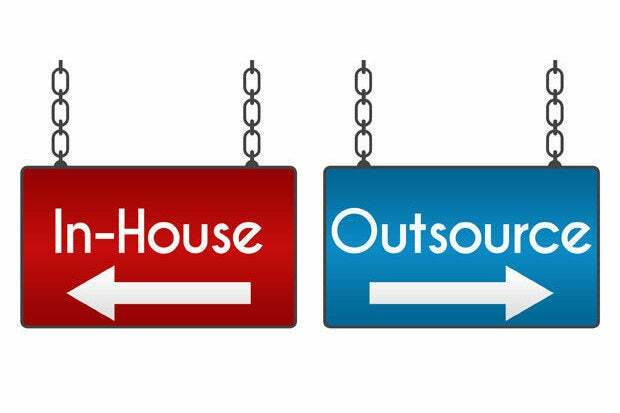 Global in-house centers — wholly owned captive offshore operations that deliver offshore IT services to their parent companies — today provide a quarter of the offshore and nearshore digital services market, according to outsourcing research firm Everest Group. And that percentage is likely to grow as enterprise demand for digital transformation continues. “Global in-house centers (GICs) are typically more strongly integrated with the core business as they are perceived as an extended team of the parent or onshore organizations,” says Aditya Verma, co-director of Everest Group’s global sourcing practice. “They typically have specialized knowledge of the business as they cater to only one customer (the parent organization) as compared to a multi-tenant service provider.” Enterprises are typically more comfortable sharing core business knowledge or intellectual property with the company’s own employees than with a third-party service provider who works with other customers or even competitors. Of course, captive centers are not instantly seen as part of the enterprise family. A newly established GIC may be viewed similarly to any other low-cost offshore provider in the early days. Integration and trust must develop over time. And the fact that these subsidiaries can become more integral to the enterprise than third parties is nothing new; that’s always been a key part of the value proposition of captive centers. However, integration with the parent company is becoming increasingly important for many organizations due to a number of key business drivers, say Verma and Kala, including escalating consumer demands, the rise of disruptive technology, cost pressures and shrinking go-to-market timelines. GICs can foster cultures of innovation. “Most GICs play a strategic role in building internal innovation capabilities for the parent and act as innovation hotspots to foster and propagate the cultural shift to innovate,” says Kala. Additionally, best-in-class GICs partner with start-ups and niche solution providers. GICs cater to the parent company’s business priorities. GICs are an integral part of the enterprise operating platform and are more closely intertwined with business functions “This platform offers a lucrative opportunity for GICs to further integrate digital solutions and delivery capabilities across these functions to ensure synergies for the parent,” Verma says. Small to midsize buyers (defined as those with less than $5 billion in annual revenue) are increasingly setting up captive centers as well, according to Everest Group, fueled by setups in the manufacturing and telecom sectors. “As the market has matured, the small to medium buyers are becoming more comfortable with the GIC model,” say Verma. “[Also] the nature of work being put in these GICs is skewed towards engineering and R&D as opposed to the traditional operations work such as finance and accounting. This enables GICs to be successful and sustainable even with small scale.” What’s more, while large scale GICs once took up to a decade to achieve maturity, these smaller captive centers are often able to deliver full value within two to four years, according to Everest Group. Facing a limited pool of ready-to-work professionals, quickly evolving technologies, and stiff competition for talent, captive centers must look beyond their traditional recruitment channels of campus placement, employee referrals, third party recruiters, and online job postings. Instead, they need to develop an alternate pipeline of talent by partnering with startups, crowdsourcing, recruiting from alternate industries and developing hybrid sourcing arrangements with service providers, say Verma and Kala. Everest Groups recently conducted a survey with more than 40 large captive centers and found that around 40 percent are currently partnering with startups and 65 percent plan to do so in the future, In addition, about half the respondents currently hire from alternative industries and 75 percent plan to do so.